Baking isn’t something I do enough and I’m determined to make more time for it. 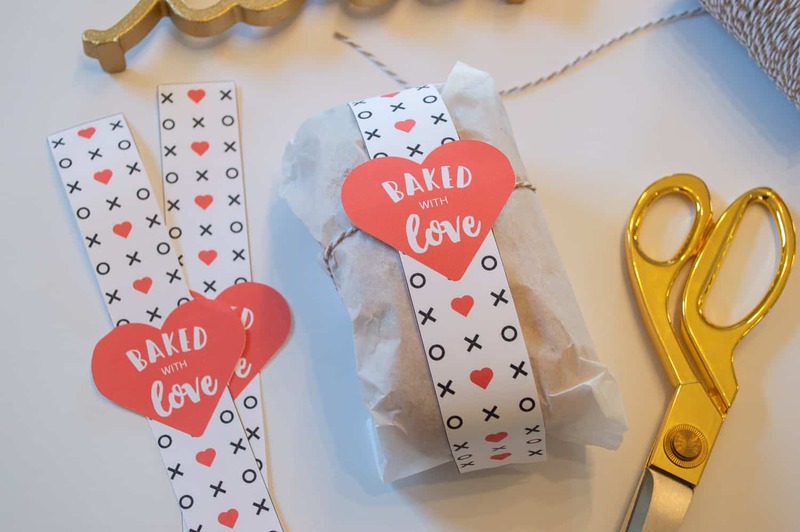 I love when the aromas of baked goods are floating through my home, and it makes such an easy and thoughtful gift. 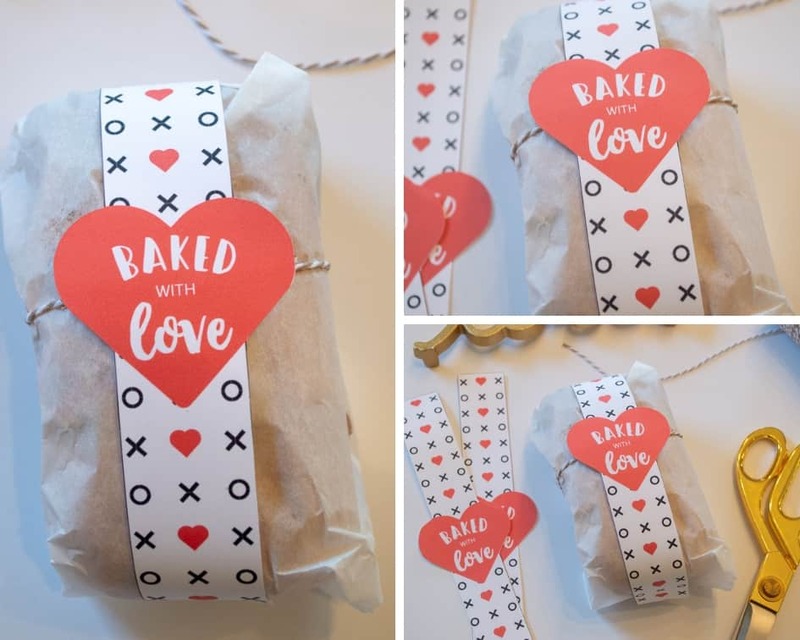 For Valentine’s Day, I baked up some mini bread loafs and thought that it would be fun to package them up all pretty as gifts. Today I’m sharing a fun way to decorate your baked goods with these “Baked with Love” Mini Bread Loaf Wraps. 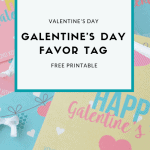 You can grab the free printable at the bottom of this post. Bake up some delicious mini bread loafs. I loved this Cream Cheese Strawberry Banana Bread from Positively Splendid. 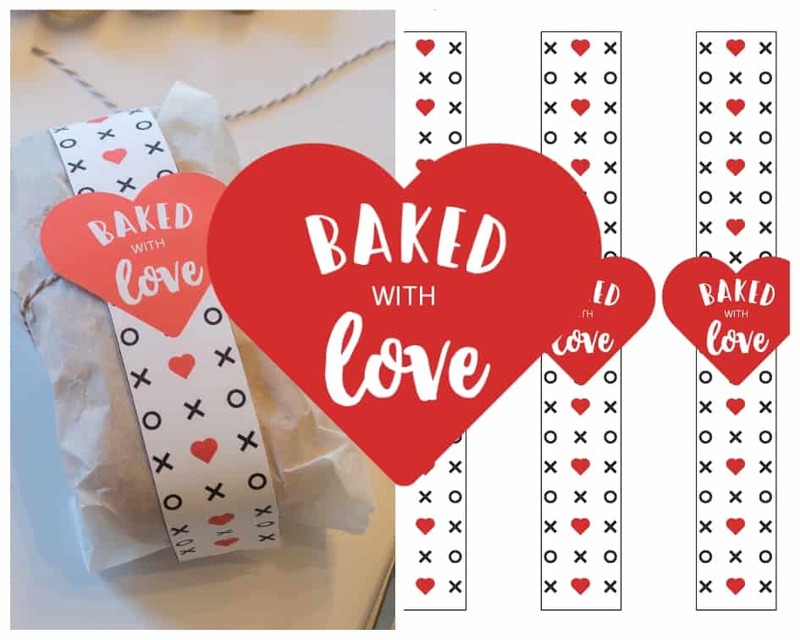 Download the “Baked with Love” Mini Bread Loaf Wraps – There is both a PDF file for hand cutting, or an svg file if you are using a cutting machine. 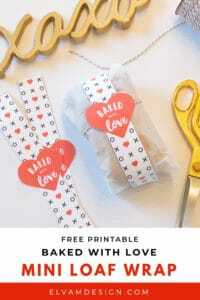 Wrap cooled mini loafs with parchment paper or wax paper. Note, parchment can be hard to secure shut with tape. 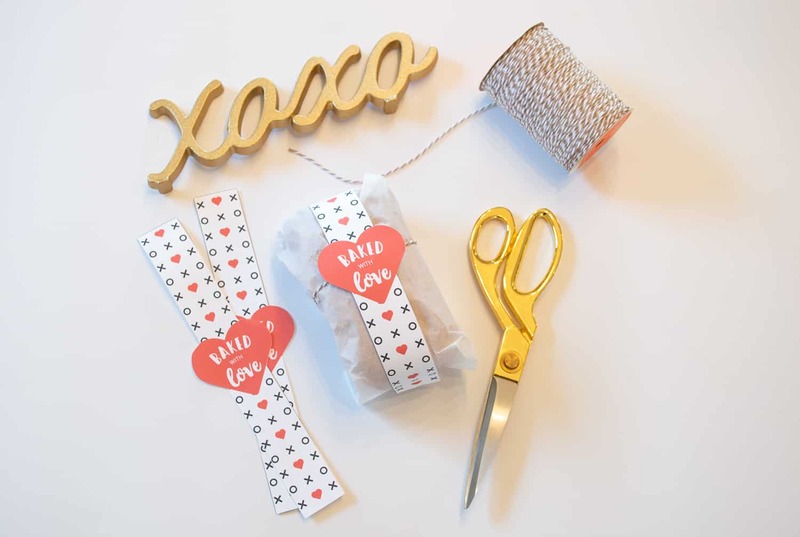 Use the Baker’s Twine to secure the paper on. 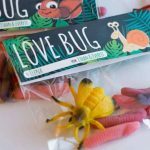 Gift to friends, family, neighbors, teachers, or whoever is on your list! Files are available in PDF (for hand cutting), PGN, and SVG file formats. 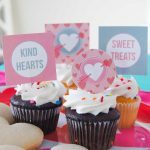 I would love to see how you use these printables. Tag me on Instagram @elvamdesign and hashtag #elvamdesignstudio.